It has been a while since i’ve read anything by Abby Niles, but after I started Winning Love, I remembered why I enjoyed her stuff. One of the things that I enjoy the most about her books is that the conflict that exists between the hero and heroine seems real, and not manufactured like other conflicts appear to be. In this instance, it was conflict between the survivor of a natural disaster and a researcher of said natural disaster (specifically tornado’s). I also loved that Gayle wasn’t the weak TSTL heroine that so many authors seem to rely on for their storyline to advance – in fact, I think at times, she was almost a stronger character than Mac. I also liked the Mac being a MMA fighter didn’t take over the story and that the way the story was developed, it allowed the reader to see his weaknesses as a human. But I will say, that his motivations for going that route weren’t really explored – why MMA from his previous life? And then he basically takes a leave of absence to help his friend out (not saying there is anything wrong with that, just that part of the story needed more development). 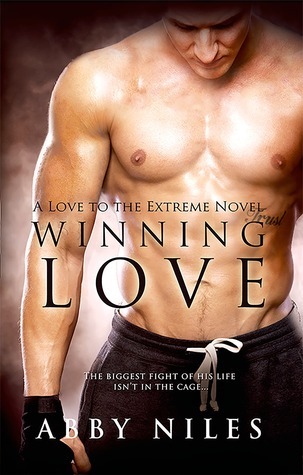 Overall, I gave Winning Love a solid 3.5 stars (but rounded it up to 4 on Goodreads). I’m intrigued enough that I want to go back and read the previous 2 books in the series – since those characters appeared briefly in Winning Love (but it can function as a stand-alone as well).